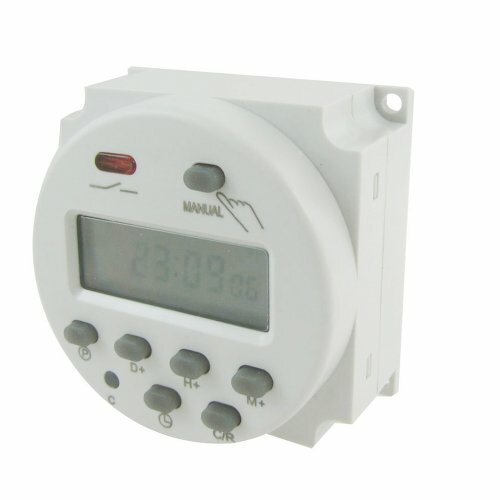 * Mounting Hole Diameter : 3mm / 0.12"
* Panel mounted, advanced pre-setting one week before, digital electronic timer switch with daily programs, repeat programs with 17 on/off setting and manual over-ride, auto timer error correction ± 30 sec, weekly. * The program timer can automatically switch on and switch off various kinds of electric equipment according to fixed time. * Used widely to control the lamp, water heater, sprayer, bottler, preheater, agriculture facilities, broadcasting equipment, home appliance, etc.